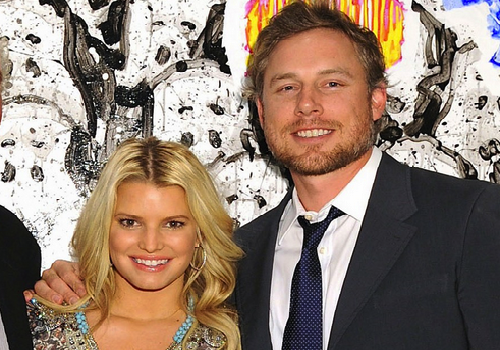 Jessica Simpson Is Officially Married To Eric Johnson! The lovely couple said their vows amongst 250 guests at the San Ysidro Ranch in Montecito, California. They walked into the ceremony together to the Beach Boys ‘God Only Knows.’ The couple’s two year old daughter Maxwell, was the flower girl who walked down with her cousin Bronx, who is five years old. Their one year old son Ace was the ring bearer. After the ceremony, the guests were then taken to a private dinner. Everyone from Jessica’s sister Ashlee Simpson and her fiance Evan Ross, Jessica Alba, Donald Faison, Cacee Cobb and Cash Warren were in attendance.